Our history dates back to 1963 when Philip and Moira Robinson opened Robinsons Bookshop in the main Frankston shopping precinct known as �Frankston�s Central Carpark�. At that time the Frankston Library was yet to be established and it was a rare treat to find a bookshop anywhere. This makes Robinson�s the Oldest General Independent Bookshop in Victoria. We celebrated our 50th birthday in 2013. In 1992, new owners Terry and Monica Perry moved the store from its original location in Frankston�s �Central Carpark� to its current location in Frankston�s Station Street Mall. The business flourished in their hands and they developed a very strong loyalty program rewarding members for their long standing support of the business. Susanne Horman took on ownership of Robinson�s Bookshop in 2007 and has modernized systems, processes and equipment to keep up with our fast paced media rich society. 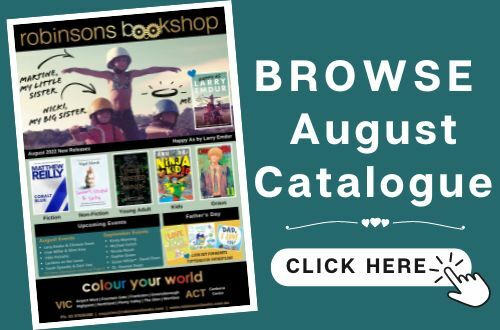 Robinsons Bookshop is a well trusted family run business that has grown to become one of the largest independent bookstore offers in Australia. The introduction of modern inventory management systems meant that Robinsons was able to launch a �live inventory� webstore in 2011. Now you can browse our shelves from anywhere! March 2012 marked the opening of the second Robinsons store � in Greensborough Plaza. Our Greensborough store fitout is a reclaimed school library, with shelving dating back to 1956. It has that authentic bookshop feel - similar to Frankston, making it quite distinctive in the middle of a suburban shopping mall. The Greensborough team are very friendly and experienced. Robinsons opened a third store at Chadstone Shopping Centre in October 2012. The centre is the largest shopping centre in the Southern Hemisphere and Robinsons is very proud to be associated with such a high profile centre. At our Chadstone store, demand for comic books has been so strong that our store stopped looking like a bookshop, and from this GrausComix was born in November 2013. All our Robinsons shops now feature an element of our pop-culture concept store. In April 2013 Robinsons entered the CBD in Melbourne�s Emporium Complex. The centre features a mix of Australian and International designers, innovative concept, flagship stores and world class architecture; allow Robinsons the opportunity to create a store that felt �how a bookshop should feel.� Our Emporium store�s dark panelling, rolling ladders and soft lighting is a book-lovers refuge. November 2014 saw Robinsons Bookshop enter Highpoint Shopping Centre to fill the literary void left by crumbling chain bookshops three years previously. Robinsons has been received with love by the community. In May 2015, Robinsons extended its bibliophilia to Northland Shopping Centre and has been welcomed by the community. Northland features the same dark panelling and theatrical elements of our Emporium Store. These stylistic traits have also been extended to Highpoint and Chadstone throughout the course of 2015 as those shops underwent renovations. 2015 also saw the opening of our Eastland store which is in a prominent position in the new Town Square. Our Eastland store features an incredible �flying books� art installation, which needs to be seen to be believed! 2016 has been an extraordinary year for Robinsons. We said goodbye to our flagship comic book store, Graus Comix, choosing to bring a little bit of Graus to all of our bookshops through extensive comic book and pop culture sections. We also said a teary farewell to our much-loved cafe � which has been a feature of the Frankston store for many years. We are currently updating the area to make way for a wonderful new children�s section. We also opened a new store in the Pacific Werribee Shopping Centre which has been warmly received by the local community, who were thrilled to have a new �local� bookshop. Shortly after this we opened another store in Westfield Fountain Gate, reaching a new community that we are excited to be a part of. Both stores feature the beautiful dark wood panelling and soft lamp-lighting that has become synonymous with Robinsons Bookshop. Robinsons has always had the community at heart, and our personalised service strives to demonstrate this. 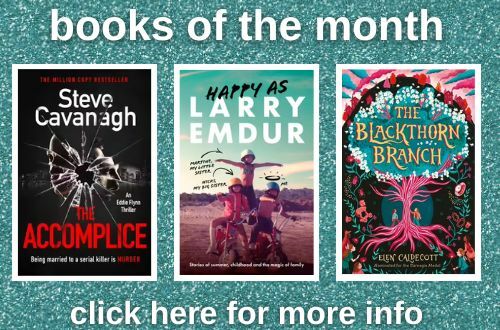 We aim to be your local bookshop � where you can find exceptional service, meet with friends, discuss books with knowledgeable staff, attend events and find your next exciting read! Robinsons� relationship with schools is one that we place great importance on � 2016 has also seen the introduction of benefits for VIT card holders as well as tertiary students. Robinsons is housed in traditional, family values: we care, we read and we will continue to remain grounded community values. We are proud to be your local independent bookshop. Robinsons has been around for more than 50 years, and we are here to stay. To be the community�s choice for access to information, recreation and learning for life. To share passion and knowledge of books to create lifelong readers. To be part of our greater community in support of education and the greater good. To be a place of good company, great reads, and engaging conversations for all ages. Robinsons Community Involvement is ever growing as we endeavour to engage the community in literature and learning at a myriad of ages, with a variety of programs. A key event is Robinsons Storytime for pre-schoolers every Monday in our Frankston, Greensborough, Northland, Highpoint , Werribee & Fountain Gate stores. Sessions are designed to engage children in fun stories and activities that nurture a subsequent love of books and reading. Children involved with stories from a young age have faster literacy development, and are substantially more likely to have better outcomes at school. In the past Robinsons has also supported local initiatives such as the Young Leaders Awards hosted by previous Government Members. Robinsons also supports schools in their choice of awards and prize books, eager to commemorate special occasions. Robinsons prides itself on finding numerous ways to gather the community together around the theme of literacy. We have a long history of co-coordinating high profile author events and launch parties. In 2009 Robinson�s Bookshop was nominated and shortlisted for the first time at the Australian Book Industry Awards in the category of Best Marketing Campaign by an Independent Bookshop. We were also nominated for the 2010 Awards for our inspiring event involving the Navy Community centred around the �Search for Sydney� title. 2015 saw us host Master Chef George Caloumbaris at our Eastland store as well as a visit from Madga Szubanksi at our Chadstone store! Gina Liano also paid as a visit along with Paul Chapman and Chris Judd. We also entertained the kids (and the big kids!) at our sold out Andy Griffiths event celebrating the release of the 65-Storey Treehouse. In 2011 we held our first annual National Bookshop Day, featuring 8 guest authors, a town crier, a CES BBQ, poetry readings, local dance troupes and more. In 2012 we hosted an owl count for National Bookshop Day - and were featured on the ABC National News. In 2013 we launched "Blind Date with A Book" on National Bookshop Day and were voted Victoria's Favourite Bookshop. 2014 saw staff dress up across the stores with lots of in store activities including coloring competitions and face painting. In 2015 we celebrated the grand re-opening of our newly refurbished Chadstone store and staff costumes went to another level � with a staff member as Grumpy Cat at the Frankston store! 2016 saw more costumes, competitions and book related craziness! The National Bookshop Day Initiative, Organised by The Australian Booksellers Association, is a great way for our customers to celebrate having a bookshop in their community. It�s our favourite day of the year, and we can�t wait to celebrate with you again in 2017.